All night comfort and coziness will be yours with this 8-inch memory foam mattress. The aloe vera foam molds to the contours of your body for healthful, supportive rest that aligns the spine and helps with back and hip issues. Naturally antimicrobial and resistant to dust mites, this mattress will last for years to come as it helps you to drift off to dreamland. Two Strikes, 0 stars if I could. I don't generally take the time to review purchases; in this case I'm doing so because this purchase went wrong two fold. The first being that the mattress is not as described. After giving the mattress time to setup (over 72 hours without sleeping on it/touching it) we were dismayed to find out that the mattress filled out to ~6.25 inches in depth not the 8" as described, which was problematic for us considering the mattress needed to be 8" to properly fit on the bed frame. The second strike here was Overstock's customer support. Apparently since this is not a "returnable" item, I've been in limbo for two weeks with the customer support stringing me along to give me some kind of a response over multiple attempts at trying to reach a resolution. Exceptionally disappointed both in the product and the customer service. Exactly what we were looking for our guest bedroom. I did read the reviews before purchasing. We were looking for a mattress about 6.5-7" thick. I saw some people saying it was about 6" inches which left a gap from the mattress and the headboard. I decided to go with this size, the 8". We received this mattress today and put it on the bed. This came in a cardboard box, rolled up in an air tight plastic cover. I believe the memory foam would expand fully over the next few days. 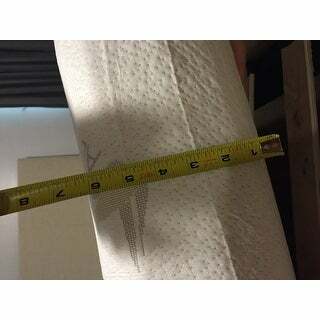 The size height of the mattress looks about 6.5-7, which is perfect for the low platform headboard we have. My only complaint would be....the memory foam is a little longer width and length than our standard queen size box spring assuming to be 60" x 80". The length on both sides...about 2-3 inches longer. I would think.... a queen size bed only have one size. I don't know which product item is off with the measurement, but I would suggest measuring yours first to check if it's the 60" x 80". This is still ok, since the blanket will be covering the mattress and box spring. Great product. Love the smell of Aloe Vera and the 8-inches of support. I recently purchased the Quincy Grey Linen Platform Bed from overstock (which I love) and needed a mattress. My uncle suggested purchasing a memory foam mattress from overstock as he has done in the past. The first mattress I received was punctured and dirty during shipping, but I immediately took pictures and used the chat feature to resolve the issue. Overstock then sent me another free of charge. It came perfectly packaged. The mattress is very light weight but I had a male friend carry it inside for me because a queen mattress is still quite large. If I had been by myself though I feel confident I could have moved it myself. It took an entire day before the mattress reached its full size, although I measured it and its actually only 7 inches in the thickest part, the bottom is 6 inches. This is probably due to taking over a week to ship. It is the perfect size for my platform bed and it is so incredibly comfortable. It is firm but does not feel like you are sleeping on concrete. 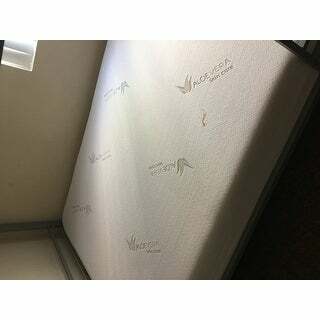 It is an excellent mattress, especially for the price. I recommend it for someone who will be sleeping on it every night like I am. I find this mattress to be about an 8 in the firmness category. I'm a plus size lady and thought I would bottom out with this 8 inch mattress, but I don't. Previously I had a 14 inch memory foam mattress that was med. density and I found it way to soft. I ordered a twin for my long haul truck for the bunk, it does however need to be trimmed back about an inch or two and a full size for my bed at home. I would recommend this mattress highly as it's great value for the cost and I didn't purchase on a sale. I use the Aloe Vera 8-inch medium support memory foam mattress for my guest room and everyone likes to sleep on the mattress. great quality! We purchased this mattress after my mother in law suggested a memory foam design. The fact that it is made with aloe vera was a contributing factor in our purchase decision. Aloe Vera helps boost the immune system, just like a good night's sleep. The first night sleeping on it was one of the best I've ever experienced. We also bought a feather topper to cover it with for extra comfiness. The two combined are similar to sleeping on a feathery cloud atop Mount Shasta. The package came promptly upon ordering in just 2 days. 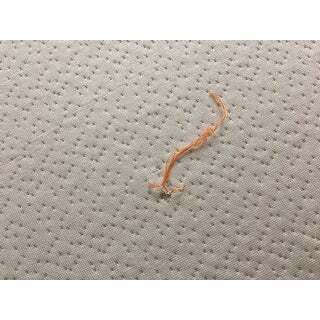 We removed the packing materials and prepared the mattress according to the instructions provided. This was very easy but would be easiest with 2 people. We slept on it the first night and have been airing it out (removing all blankets and pillows) during the day. It needs an additional box spring or mattress foundation unless one plans to sleep directly on the floor. To each there own I say, but I like to sleep up higher than 8". Overall, this is a very comfortable mattress and I am satisfied with the purchase. Get a great night sleep. This is a great matress. At first I felt it was too firm, takes a little getting used to . Once you do though the matress is a great buy. It has the right firmness and comfort to fall asleep quickly. I like this matress because it is easy to lay on your side and sleep without turning over. Sometimes you may but a lot of times you don't. I think the right firmness supports your back and allows you to not roll over because your back is supported the right way. Lying on your back while sleeping can cause problems with things like sleep apnea, so its always good to sleep on your side. This matress helps. The price was a steal. I recommend this matress for anyone wanting to find a comfortable twin matress at a low price for a product that sold in stores for around *** Thanks Overstock! Yessss to this Memory Foam Mattress. I ordered this Aloe Vera 8 inch Memory Foam Mattress and this was definitely a "POSITIVE PURCHASE". The package was great and I had to fight with it for a minute by myself- LOL. Guest loves sleeping in the guest bedroom and always talks about how great the bed feels. I have to let them know, they have to purchase their own because they have to go...LOL. Love the Memory Foam Mattress. This mattress fills the bill! We were able to move the mattress to our bedroom fairly easily. It fits our bed perfectly. It is quite firm, and we are using a foam topper to give a less firm surface. This makes a very comfortable mattress. bed is pretty firm, but still way more comfortable than the spring beds we had. I got a memory foam topper from ***** and have that on top of mine, and it's HEAVENLY for me this way...firm but more soft with topper. My husband doesn't have the topper, and has a bad back, and is doing fine without a topper, but says it is firm. Maybe too firm if you're a side sleeper...just get a nice memory foam topper and you will LOVE this bed! I ordered two of these for a bunk bed set up in my children's room. We've had them for about a month now and they're amazing. I loved how easy it was to unpackage them and get them onto the beds, they're comfortable, and the chemical smell does go away. They're soft and so far have been easy to clean ( 2 year old). My issue is one of them came with a tear in the fabric that covers the bedding. And I know it was noticed because it was marked with a string by the manufacturer, this item should've never been sent to a customer. Not only that but once this item is unpackaged out of the vacuum sealed bag, it's pretty impossible to return. So I'm upset Overstock sent this to me but if it were in perfect shape (like my other one) this would get a full 5 star review. This just made me not want to buy from overstock anymore. So the mattress is great, overstocks choice of sending defective items...not so much. Guess I'll be sewing this hole so it doesn't grow. This is a really good inexpensive, memory foam. I have it on a brass bed supported by 3/4 " plywood. I don't recommend anyone purchasing an 8" mattress if they have problems getting out of a lower bed, unless you purchase a box spring for it. I would go for the 12", but all around a great bed for the price. Not too firm, I thought I would have to buy a topper after several reviews, but it works for me and my dogs love it! Nice bed - arrived on time 5 days back- inflated within minutes- 8 inches within 2 hours -no smell - looks great. I trusted all the great reviews and ordered 2 more foam beds for my grandchildren...... I slept on it yesterday to check. Felt comfy. But within 15 minutes it was kind of warm. I woke up many times as I am not used to the heat. I think it may be nice in winter or for someone who needs more warmth. It looks like I am too late to cancel my other 2 mattress order... not pleased with myself...though I wish there is a salient feature rating system instead of all this writing that tires people from figuring the suitability of a product to their needs. It's been 2 months since I received this mattress and it still has a very strong chemical odor. I aired it out for a week, washed the other covering, still does not help. The mattress itself is very firm. I would not purchase this again. Love it! I was worried about this mattress not being firm enough or holding its shape but it's excellent! Great deal and worth the money! Mattress was as described. Took a bit longer to ship than initial estimate. I am pleased with my purchase overall. Very hard. No smell though so that was nice! Great mattress for guest bed. Feels firm without being hard and doesn't seem to heat up throughout the night. Smelled like chemicals for first few days but that went away. Would definitely recommend! Good product and fast delivery. Very comfortable. This mattress is very comfortable with just the right firmness and softness. I also like that the cover can be removed to be washed. My son spilled juice on it and it came out with one wash. Purchased this for my son’s bed. He loves it and says it is super comfortable! He seems to be sleeping great since putting this in his room. Would recommend this for anyone looking for an inexpensive but comfortable mattress! Very comfortable works beautifully with the adjustable base. "Can be used on a metal bed that needs no boxsprings"
Yes, this can be used on a metal bed with no box spring. "WHAT IF I ORDER THIS PRODUCT AND IT DOES NOT REACH THE HEIGHT OF 8" INCHES. WHAT ARE MY OPTIONS?" If the mattress does not expand to 8" after 48 hours of being completely out of all packaging we can offer a replacement. "Could this mattress be used in a sleeper sofa?" I believe it could not, as it would be unable to be folded. We would not recommend using this mattress in a sleeper sofa. "What are the dimensions of the twin mattress and the XL twin mattresses?" Twin: 38 inches wide x 74 inches long. Twin XL: 38 inches wide x 80 inches long. I hope it helps. "Can I order the soft mattress "
This one is not soft. If you are a side sleeper and weigh more than 120 pounds, you probably won't be happy. I'm a back sleeper and prefer a firm mattress so I have three of these, including one for the Airstream. 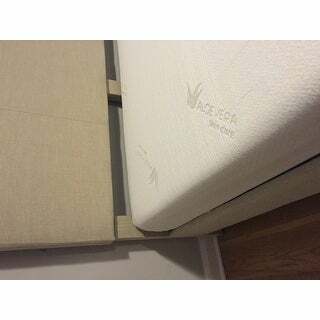 "My mattress was ordered November 2017 and I had to move and it has still been in the box since than because I had to put it in storage. Would it still be okay?" You have check with manufacturer that question. I love my mattress it is first time I have gotten a good sleep in a long time.